Cloud computing capabilities have become commonplace in the business world, but many nonprofit organizations are still operating without them. Over the past few years, however, Microsoft has taken the lead in making Azure cloud computing services available to nonprofit organizations across the globe. 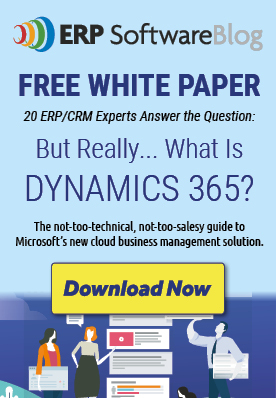 Adopting cloud computing services such as cloud ERP software for nonprofits can allow these organizations to radically reduce their IT costs. Nonprofit organizations operate on donations, and digital transformation for nonprofits can help make sure that monetary resources are used as effectively and efficiently as possible. Rather than dedicating time and personnel to installing and constantly upgrading software, cloud computing services ensure that employees have more time and energy to dedicate to fulfilling the vision and mission of their particular organization. To date, Microsoft has donated over $2.5 billion to help advance the digital transformation of nonprofits across the globe. Their Technology for Social Impact (TSI) team is also dedicated to making cloud computing services more accessible and affordable. AKA Enterprise Solutions is proud to be working alongside Microsoft to hasten the adoption of cloud computing services at nonprofit organizations worldwide. Besides freeing up resources, this effort has also been fundamental in helping various nonprofits increase their transparency and improve the efficiency of their operations. In fact, AKA Enterprise Solutions was the 2018 winner of the Microsoft U.S. Partner for Social Impact Award. This award specifically recognizes a standout partner that has been fundamental in helping nonprofits adopt this new technology. As a winner of the 2018 award, AKA was also invited by the TSI team at Microsoft to join forces with NetHope. 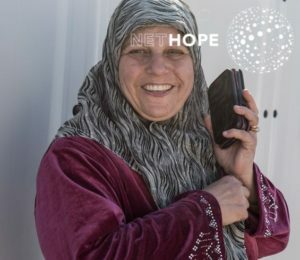 NetHope brings together the world's largest nonprofits with companies like AKA in an effort to improve IT connectivity at nonprofit organizations around the globe. One of the major goal of this partnership is discovering new ways that technology can help to improve the world. Adopting new technologies is never easy or straightforward, especially for organizations that are executing difficult projects in some of the world’s most remote areas. However, both NetHope and Microsoft have created a plan to facilitate the digital transformation of nonprofits. Known as the D3 plan for digital transformation, D3 stands for “Dream, Design, and Deliver.” Initially, organizations work with NetHope partners like AKA to dream up a vision for how digital transformation can benefit their nonprofit organization. During the design phase, the NetHope partner works with the client to design a solution that fits their needs. Finally, the deliver phase is focused on implementing that solution. Member organizations are partnered with companies like AKA to help them implement their specific vision. On November 5th, the NetHope Global Summit 2018 will be held in Ireland. The theme for this year’s summit is Digital Transformation. As a member of the NetHope team, AKA is thrilled to play an important role in helping nonprofits find ways to better serve their communities through adopting solutions such as Azure Cloud for nonprofits. Do you work with a nonprofit organization that’s interested in digital transformation? AKA has experience working with a range of nonprofits, including Commit2Dallas, Lifeworks, and more. Let us put our experience to work for you. Contact AKA Enterprise Solutions today to learn how we can help. The beginning of 2018 can be the crucial transformation point for any business industry. With the onset of New Year, many exciting flagship technologies are under promotion. 2018 is going to be the year of transformation for businesses and we may also expect the year to bring more of the same. Implementing retail ERP software can modify the Retail outlet and also the corporations to manage and set all the info alongside less quantity of resource time place in.